If I fail at anything covering certain blog content it’s manga. It’s this year slowly gotten to become more of an avid reader of it. One manga recommended me to by good friend and co host Shay, got around to finish last month. A treasured series to them and by one of my favourite manga people. 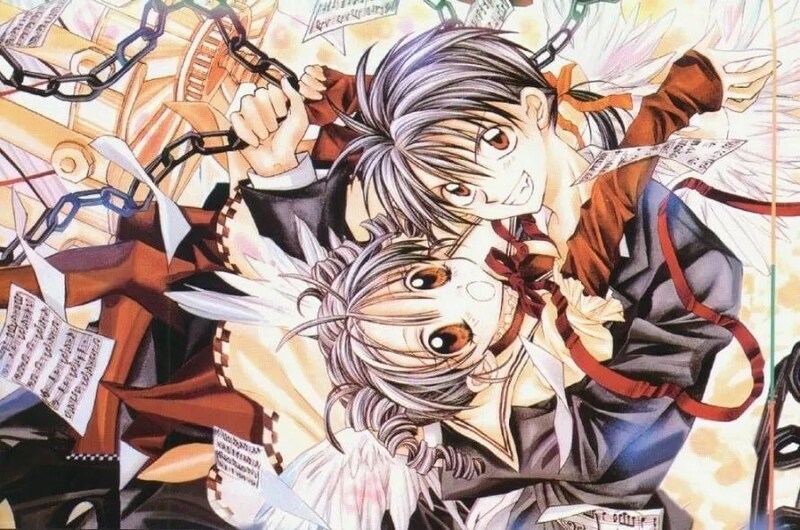 Like Yuu Watase, Arina Tanemura’s work was one of the first to read, in my early manga days. Both these authors have in common writing ‘shoujo’ type plot lines but say one I might love more. That would be Arina Tanemura. First book reading of her works was Phantom Thief Jeanne which I do personally own. At the time of reading was something really captivating to me when getting into anime, magical girl mixed with romance. Surprised me how deep, twisted Arina’s stories could get and her cutesy, colourful art work. From that point I wanted to read every work by her, that was ten years ago I said that. Nowhere… have completed this goal like too many anime goals, I’ve set myself over the years. Full Moon O Sagashite has quite the sad premise twelve year old Mitsuki suffers from throat cancer. Only way to cure it is to have surgery but she is adamant to not have it. Mitsuki dream is to be a singer through a promise she made to her crush Eichi, whom moved to America. Mitsuki grandmother is against Mitsuki pursuing her dream, in the end Mitsuki runs away from home. 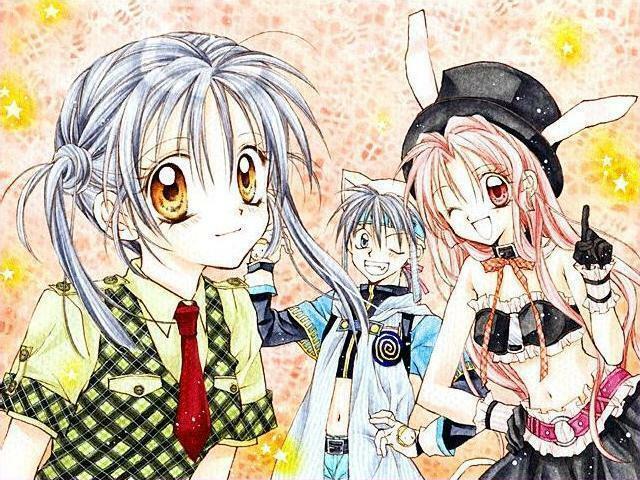 Mitsuki meet unexpectedly shinigami Takuto and Meroko that she can only see. They tell Mitsuki she has a year left to live but Mitsuki driving passion touches Takuto. If Mitsuki can pass to the after life with no regrets, Takuto gives Mitsuki the ability transform into a sixteen version of herself to fulfil her singing dream. Initial first thoughts going into Full Moon it was going to be a tear fest by the end and I’ll admit almost did. The thing that surprised me most about this series was it’s heavy focus on living and suicide. Mitsuki at times I forgot was twelve from inter transitions to sixteen version of herself. Mitsuki is a sweet soul at heart but carried some negative, heavy thoughts, which was a little alarming at times. It’s a serious thing in real to having the thoughts Mitsuki was having. This would be a read would not recommend to people below fifteen. If younger me at fifteen had read this, probably might have been turned off. Exploring heavy topical themes of suicide. It’s not just Mitsuki who carries heavy baggage but taking the aspect of Shinigami’s. Wandering souls who took committed suicide and as punishment to collect the souls of those who are nearing end of their life span. You get to learn the back story of Takuto and Meroko, the regrets from their past. All the characters in Full Moon all have some regrets or things they could not let go. It was good to see the focus not on just Mitsuki, made me feel more invested in the story this way. While Full Moon O Sagashite covers hard themes it also reflects another important aspect. Suicide is a tough topic for people to talk about but it’s so important we do. While Mitsuki is a physiological mess at points considering her circumstances. No way by the end of the manga would Mitsuki be in a better mindset if not for Takuto and Meroko support. It’s obvious throughout the read Takuto slowly becomes an influence over Mitsuki, to change her thinking. Both vise versa for the pair. While reading this series made me think about when I lost my nan in 2013. That she was really gone, she was the closet person to me in my family. Still now I’ll think she’ll ring up on our phone but I feel feel stupid afterwards for thinking that. I can’t go into great detail plot wise would be revealing an important chunk. But like for me denying that my nan was really gone. Mitsuki learned there were others who wanted her to move forward, sometimes if you can’t find a reason. Let people’s support and wishes for your well being be a place to start. Full Moon O Sagashite covered the aspect of suicide rather well but most of the time felt torn. Between all the cuteness and deep, traumatic parts. It’s like a constant rollercoaster. While a heavy, read. The balance was still their in the romance aspect. Gave me my romance fix, that’s all that matters. Just kidding. I did feel like at points that I might not finish this series. Good thing the art work is so adorable to look at, especially with Arina’s facial expression. Made my heart flutter inside with happiness to how cute they were. Has reading the manga made me curious for the anime? well what do you take me for me. Of course at some point I’ll be checking out the anime, as would like to see how both differ. Full Moon So Sagashite was a cute but sad read, the plot went off the road at times with the side characters own dealings. Differing the focus a bit from Mitsuki. For a shoujo it’s has unexpected turns but still kept me engaged in pining to know what would be Mitsuki fate at the end. Arina Tanemura’s work in my eyes a good basis for anyone who has never read shoujo. Though in this case Full moon not being for younger readers below fourteen. I recommend checking out this interview anime site Yatta Tachi did with Arina herself. It’s very interesting in getting to her mindset when working on her manga works. Hope you guys enjoyed hearing my thoughts on Full Moon So Sagashite and look forward to reading more works by Arina. Have you read any works by Arina Tanemura or Full Moon? Please comment below if you have or any thoughts you may have. Oh yes, I loved the manga but it’s one of those I never got to finishing. New design looks neater Lita-san! I feel like rereading this series now. 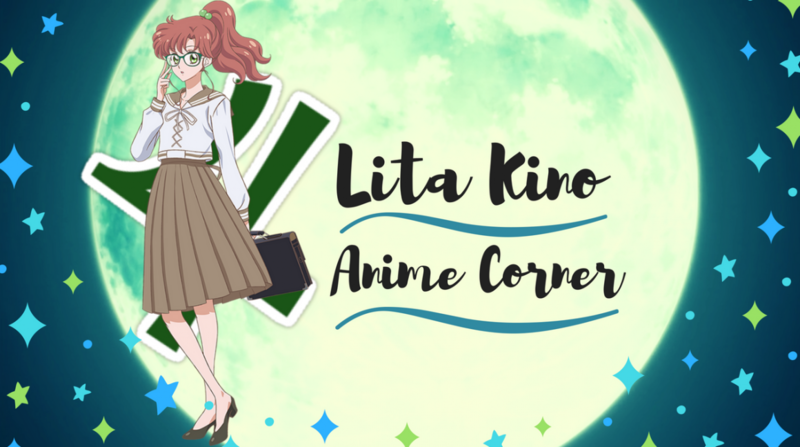 The anime isn’t as dark or depressing (Mitsuki goes to school and stuff), and some key points are changed. They both have good points and bad. Yes, that’s how I felt while reading it too. The anime is a lot lighter, but I think I prefer the manga. Arina Tanemura is my favourite mangaka.